In Arizona we work on a state level to promote the awareness of and financially support the physical, emotional and economic challenges that our wounded veterans and their families face on a daily basis. We raise money through the Patriot Tour™, an annual motorcycle ride that travels with 1 flag through 48 states in 100+ days. We also raise money through community events, business donations, individual donations and local community group support. We are a recognized 501(c)(3) and all money raised in Arizona stays in Arizona and is distributed directly the veterans who are qualified by the Arizona committee. At a national and state level 100% of all donations collected are given back to the veterans in need. This team is dedicated to supporting combat wounded veterans and their families throughout Arizona. We are all volunteers and all dedicated to the mission! Bill is the Executive Director and Founder of the Nation of Patriots™ and the Patriot Tour™. What started out as a one man quest to help veterans has developed into a National Tour supporting veterans who have wounds sustained in a battle campaign. Bill is NOT a veteran but started this program after seeing his friends coming back from the Mid East, having major life problems with no one to turn to for help. Bill developed a program where all money raised by the NOP efforts go back directly to the veteran and their families. Margo, his wife, is a strong support partner for our CEO and is very active with the operation of the Nation of Patriots™. Dan Smith, aka the "Godfather", is the original Flag bearer for the State of Arizona. 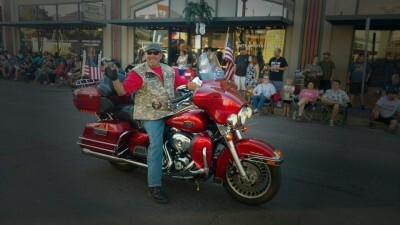 Dan has been riding the Patriot Tour™ in Arizona since 2010. He continues his support of the wounded veterans in Arizona through his dedication and hard work meeting with people from all walks of life and educating them on the challenges the wounded veteran faces. Through Dan's leadership, over the years, the Arizona group has grown and now supports the entire state of Arizona utilizing the talents of his team to maximize the donation and create an event for all supporters to enjoy. Dan sits on the veterans selection committee for fund distribution, speaks at events statewide and works tirelessly to insure that the goals, objectives and purpose of the Patriot Tour. Dan is a Vietnam veteran who loves his country, his community and his state and appreciates all that veterans have done for this great Nation. Rick sits on the veteran selection committee for fund distribution, speaks at events statewide and works with the other non profit groups that support the NOP in their mission. Rick served his country and community but rides in the memory of his father, an original Seabee, who spent 4 years in the South Pacific during WWII. Although decorated as a Seabee, he would not speak of his experience and simply stated "I did what I had to do". It is in that spirit that Rick continues to ride to support our unsung heroes. 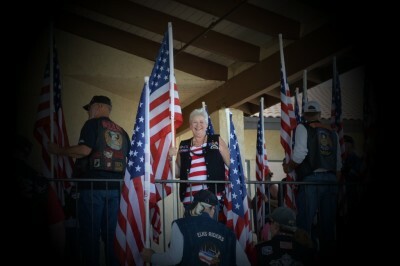 Becki, aka'Hugzalot', has been riding the Patriot Tour™ since 2010. At times having the flag duct taped to her leg to insure it was secure, protected and properly displayed during its run through Arizona. Becki serves as the State Treasurer insuring that all donations are accounted for and then distrbuted to the veterans in need. She is also our behind the scenes person who tirelessly works on events, raffles, donor cultivation and so much more. Becki sits on our veterans selection committee and she is the person who you can depend on to see the problem and fix it before it is a problem. Becki's father is a proud 98 year old WWII vet and Becki rides with Dan in support of him and rides for the love of her country and the veterans who served it. 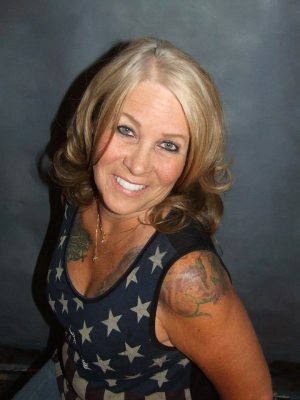 Sandy started riding with the Patriot Tour™ in 2014 and became secretary for the State team in 2015. 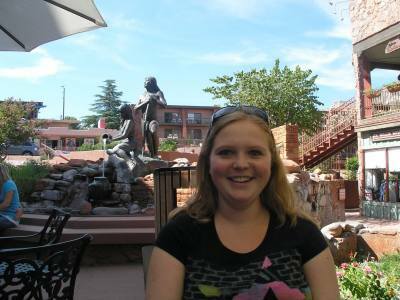 Sandy is responsible for the minutes and record maintenance for the Arizona group and is very involved behind the scenes with events, raffles and customer service. Sandy comes from a family that has a long history in military service and rides in memory of and to honor those who have served from her family and to honor veterans from all walks of life. Ted, aka 'DV', has been riding with the Nation of Patriots™ since 2015 and is our Veterans Service Officer, certified by the VA which makes our selection process effective, faster and more accurate, allowing us to get the money to the ones in need on a much faster basis. Ted is a veteran who we know as 'DV' which stands for Dysfunctional Vet....his support and care for our veterans makes him anything but dysfunctional! Anthony Caniglia aka 'Shine' is our newest member to the team. 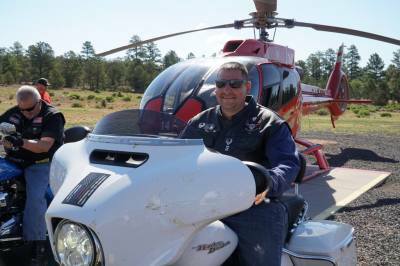 Anthony has been riding with us since 2014 and his background in hospitality and local business to business has been an invaluable tool in the Flagstaff area. Anthony is an Army vet and works tirelessly in donor development in the Flagstaff area to support our veterans. Rebecca McDonald has been involved with the Nation of Patriots™ for three years. As our outreach has grown it became obvious in early 2017 that our reach into the Phoenix area would need support and Becca stepped up to assist in the marketing and events in the Phoenix area. Becca does ride and rides with the NOP in memory of her "Papa" who served in WWII and the many other extended family members who have served our country. Matt McDonald has been riding the Patriot Tour™ for the past 3 years and offered to assist us as we moved our program into the Phoenix area. 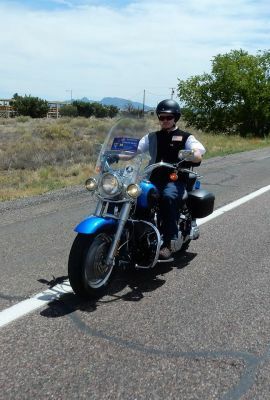 A Phoenix native with a love for his country and profound respect for the veterans who serve us Matt jumped in as our new rep in the Phoenix market and will be attending events, meeting and supporting rides on behalf of the NOP thorugh outh the valley area. Todd has been a supporter for years and recently became our official Chaplain for the Arizona Nation of Patriots™ and the Patriot Tour™. 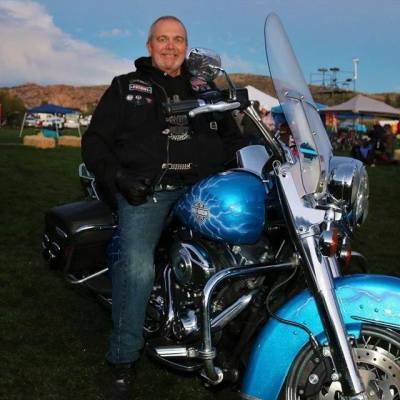 Todd is very dedicated to the calling and when not riding with us you will find him ministering to the motorcycle community all over Arizona riding with the Black Sheep Motorcycle group a Christian Motorcycle Club. Steve Like, a member of the Elk Riders in Chandler Arizona, has accepted the position of coordinator for the Nation of Patriots™ working directly with all Elk Riders in Arizona. 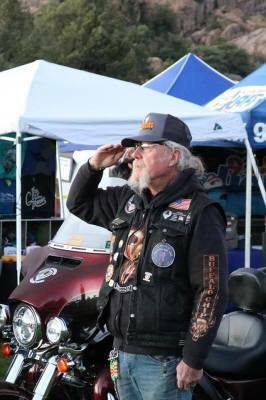 Steve a long time supporter has been instrumental in bringing these 2 volunteer organizations together and has rallied the Elk Riders across the state of Arizona to supporting the Nation of Patriots™.